The winning comparsa, is composed exclusively of women’s voices. 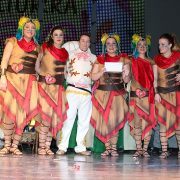 Once the Carnival Museum Costumes competition was over, the XXXVII edition of the Murgas and Chirigotas contest of the Miguelturra Carnival began. 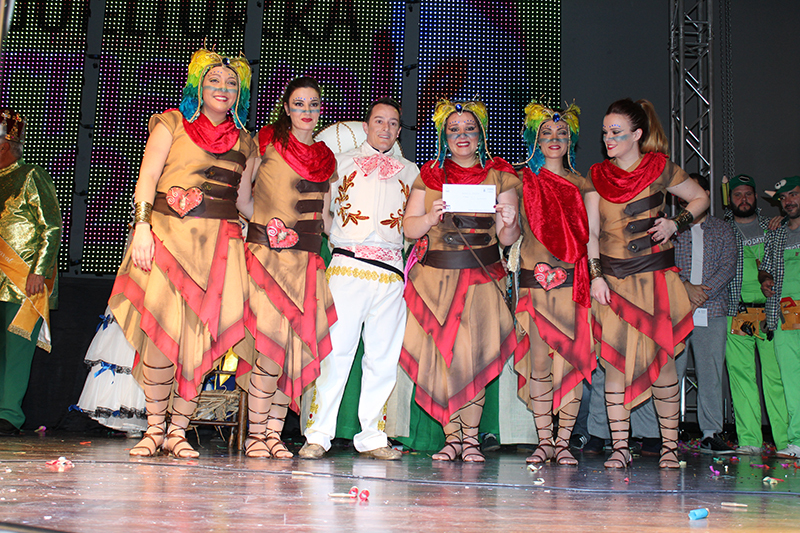 The first prize worth 600 euros went to Puertollano and his comparsa of female voices La Victoria, whose theme revolved around the problem of women and their improvement day by day. Los Flamencos del Barranco of Torralba de Calatrava, won the second prize of 500 euros, making a parody of hunting and suffering of hunters, did not miss his dog Canelo, which incidentally, was somewhat indisposed. The chirigota El culo de la Manola of Damiel and its subject “Los Tarugos”, obtained the third prize, endowed with 400 euros. In this case, the work of the carpenters was the theme chosen by this chirigota. In fourth prize of 250 euros, it was for the chirigota of Alcázar de San Juan, Pa mear y no echar gota, the babies and the parents’ worries, it was the chosen topic. La Góndola of Daimiel, a witches’ comparsa daimieleñas and its theme “Bewitched”, won the fifth prize of 150 euros. Víctor López Ruíz, professor of guitar, Javier Vallejo Climent, master of interpretation of bassoon, José Vicente Romero, composer and music teacher, Rosa Vallejo Climent, professor of singing and Ricardo Muñoz Castellanos, professor of oboe and director of the Band Miguelturra Symphony, were the members of the jury. All the prizes were sponsored by the City Council of Miguelturra and were given by the Councilman of Celebrations, Diego Rodríguez, the King of Carnival, Serafin Delgado, the major masks of 2017, José Cañizares and Antonia Nieto, the major masks of 2016, José Muñoz and Mercedes Rivas, as well as the President of the Peñas Association, Raúl Domínguez.